On the bicentenary of Emily Brontë’s birth, Katherine Clements reviews a new ‘biography with a twist’. Emily, the elusive Brontë sister, is often portrayed as antisocial, difficult, perhaps even slightly unhinged. Two centuries of Brontë scholarship have created an inscrutable image of this singular woman; Emily as enigma has become integral to Brontë myth making. In Emily Brontë Reappraised, O’Callaghan sets out to explore our impressions of the author from a 21st century perspective. It’s a timely release from Manchester based independent publisher, Saraband. 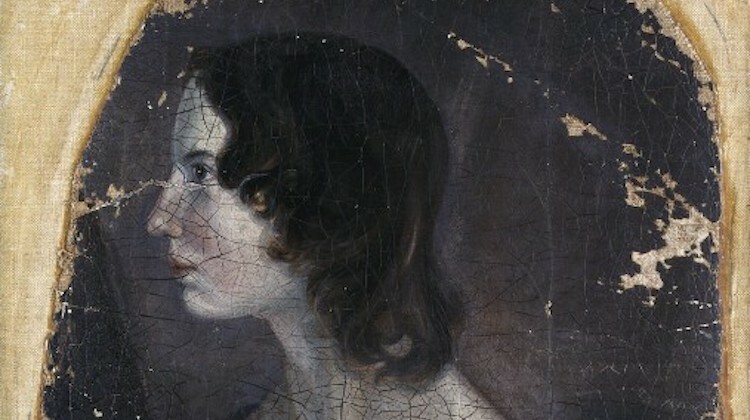 Emily’s bicentenary, coming mid-way through five years of celebrations at the Brontë Parsonage Museum, has seen a spike of renewed interest in all things Brontë; a modern, alternative view – as this book is billed – is most welcome. O’Callaghan clearly knows her stuff, but this is not a heavy scholarly work revisiting primary sources, rather a reassessment of the output of those who have gone before. It leans on established Brontë scholars, such as Juliet Barker, Lucasta Miller and John Sutherland, as well as Emily’s literary output. It’s particularly strong on examining how our impressions of Emily have depended on hearsay, filtered first by her sister, Charlotte, and then Elizabeth Gaskell, who never met Emily, but presented a strongly fictionalised version of her in The Life of Charlotte Bronte. It’s clear that Charlotte’s decisions and actions after Emily’s death, however well meant, still colour our view. Another stand out chapter examines onscreen representations of Emily and her work. I nodded in agreement at O’Callaghan’s assessment of Sally Wainwright’s To Walk Invisible, to my mind the most convincing and rounded portrayal of the Brontë family to date. The book has a lot in common with that work, and might be criticised for placing 21st century contexts on Victorian woman, but this is exactly what O’Callaghan sets out to do. Assertions that, had Emily been alive today, she would have been a passionate environmental and animal rights activist, and that she was indeed a staunch feminist, might ruffle a few feathers, but O’Callaghan makes it very clear that this is conjecture, even while backing up her convincing argument. I particularly enjoyed the final chapter, which aims to dispel ‘fake news’ stories about Emily. Presented in a numbered list that just begs for column inches, O’Callaghan presents a consumer friendly summation of the evidence and, in ambiguous cases, takes sides – it’s lighthearted but not irreverent. With occasional humourous asides and lapses into social media speak, the book might struggle to be taken seriously, but it will appeal to those put off by more weighty tomes. And don’t be fooled – there is serious scholarship here. O’Callaghan is aware of the limitations of her task and acknowledges the impossibility of presenting a picture of Emily as ‘fact’. 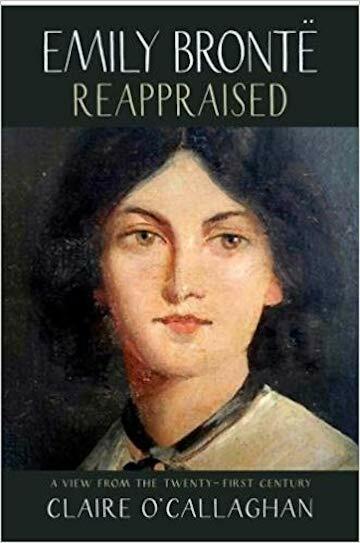 But Emily Brontë Reappraised is an original, valuable contribution that goes a long way to rehabilitating the image of one of the most influential female figures in English literature. Katherine Clements is the author of The Coffin Path, a 17th century ghost story described as ‘Wonderful Yorkshire gothic … like something from Emily Brontë’s nightmares.’ She will be appearing at the Brontë Parsonage Museum on 28 July, with authors Beth Underdown and Rosie Garland, discussing Emily and the Gothic, as part of Emily Brontë’s bicentenary celebrations. Tickets are available here. Header image: Emily Brontë, Gun Group Portrait © National Portrait Gallery.